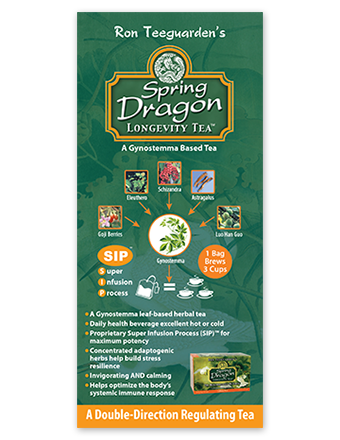 Gynostemma used in Spring Dragon Longevity Tea is grown in a remote pristine mountain in Southern China. 100% mountain spring water and natural precipitation. No pesticides, fertilizers, or chemicals of any kind ever used during the cultivation. Extract of these five premier tonic herbs has been infused into premium grade Gynostemma leaves using our SIP™ technology. 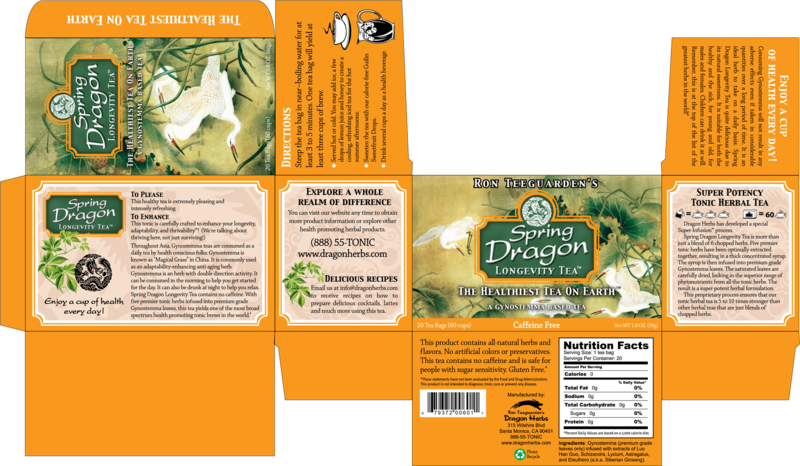 Spring Dragon Longevity Tea is Dragon Herbs’ flagship tonic tea. 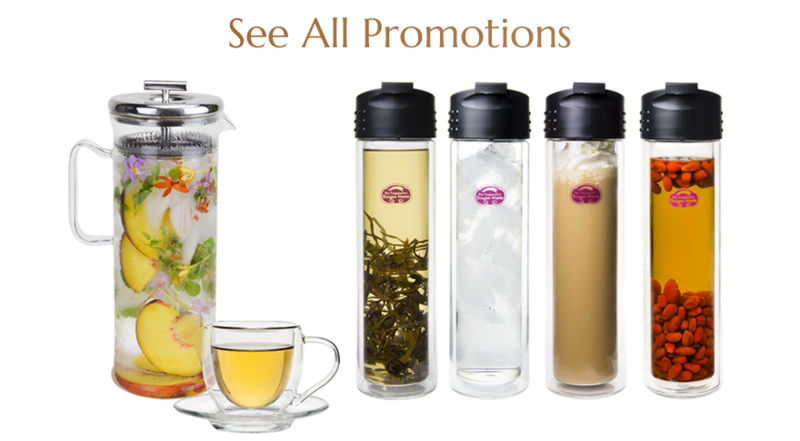 It is available in tea bags for easy preparation and ready consumption. 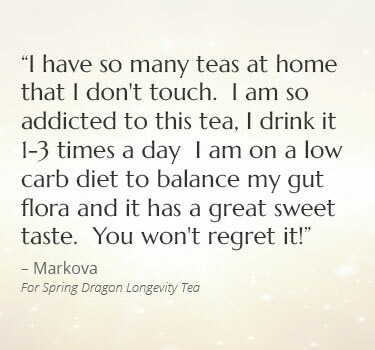 It is adaptogenic, immune regulating, tonifying to the Lungs, Heart, Pancreas, Liver, Brain and Kidney. 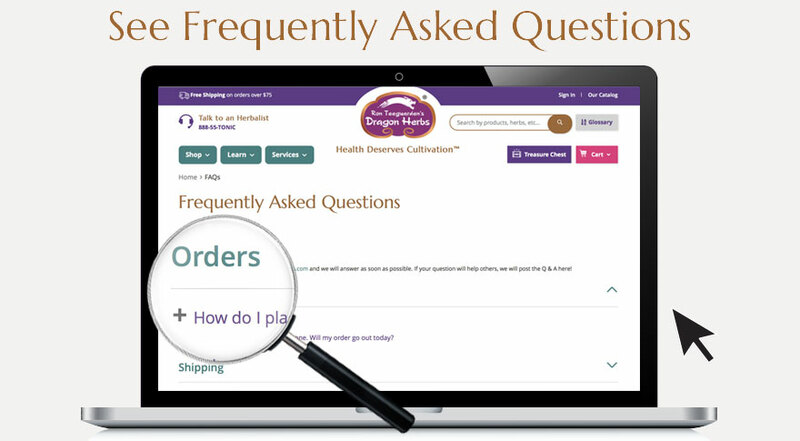 It was Dragon Herbs first offering and remains our flagship product. 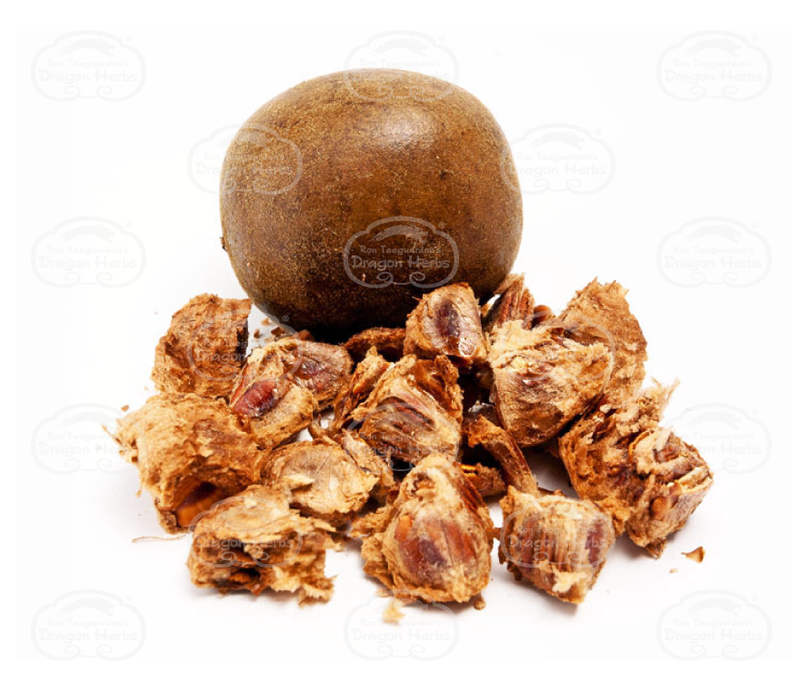 It is consumed around the world by thousands of people every day for its wonderful flavor and health benefits. 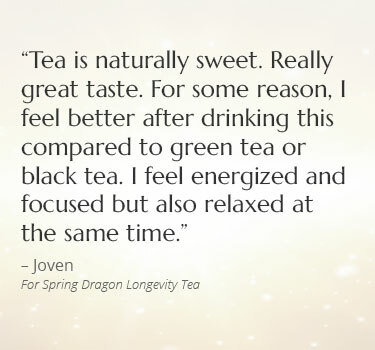 Spring Dragon Longevity Tea is a very special tea, unlike any other tea on the market. 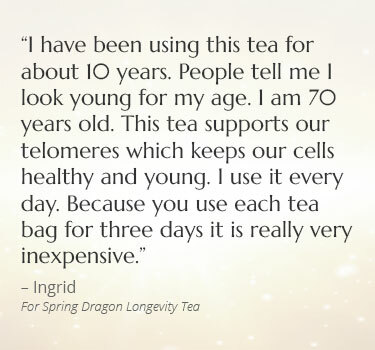 It is actually a classical form of an elixir that in China was literally called a “longevity tea.” Spring Dragon Longevity Tea has one main “bulk” or “raw” herb, Gynostemma leaf, plus 5 tonic herb extracts. Gynostemma is a remarkable herb known in Asia as “magical grass.” It has been reported to have a wide range of health-promoting benefits. Gynostemma supports normal healthy functioning of the liver and cardiovascular organs and tissues. The ultimate greatness of Gynostemma lies in its broad spectrum ADAPTOGENIC (stress modulating) quality. 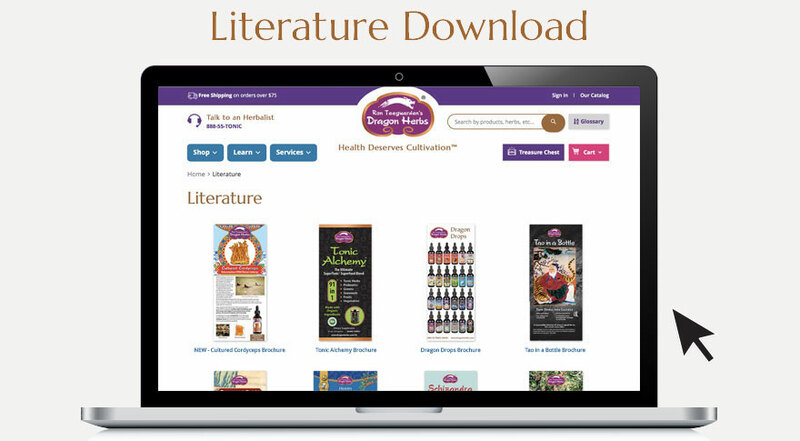 Adaptogenic herbs help improve the efficiency of the metabolic, neurological, immunologic, respiratory and endocrine systems in normal healthy people. Prolonged consumption of Gynostemma supports the adaptive capacity of people at every level of their life. Gynostemma supports physiological balance to the body under a wide range of stressful circumstances. Gynostemma has a double-direction, regulating, adaptogenic influence on the central nervous system. It is calming when one is overexcited and invigorating when one is fatigued. Gynostemma may have a beneficial effect on the heart by supporting circulation. Gynostemma helps balance the body’s metabolism. Gynostemma has developed an enormous reputation in Asia as a major aid in weight management programs. Gynostemma has been shown to have a double-direction activity with regard to weight. Gynostemma can be useful in reducing excessive body fat, when combined with a reasonable exercise program and a healthy diet that modulates caloric intake. Gynostemma may also help athletes, body builders or slim people to gain weight. The saponins in Gynostemma are called gypenosides. 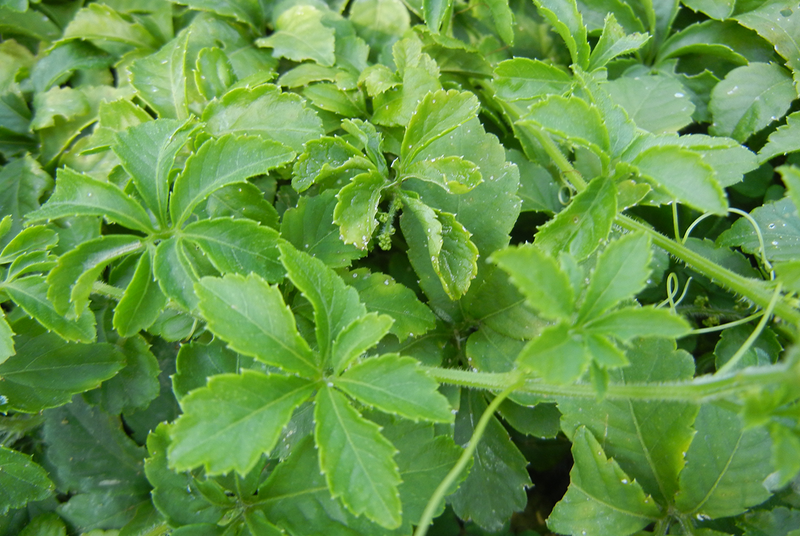 There are over 140 gypenosides in Dragon Herbs’ Gynostemma. These gypenosides are the constituents responsible for the adaptogenic qualities of this tonic herb. 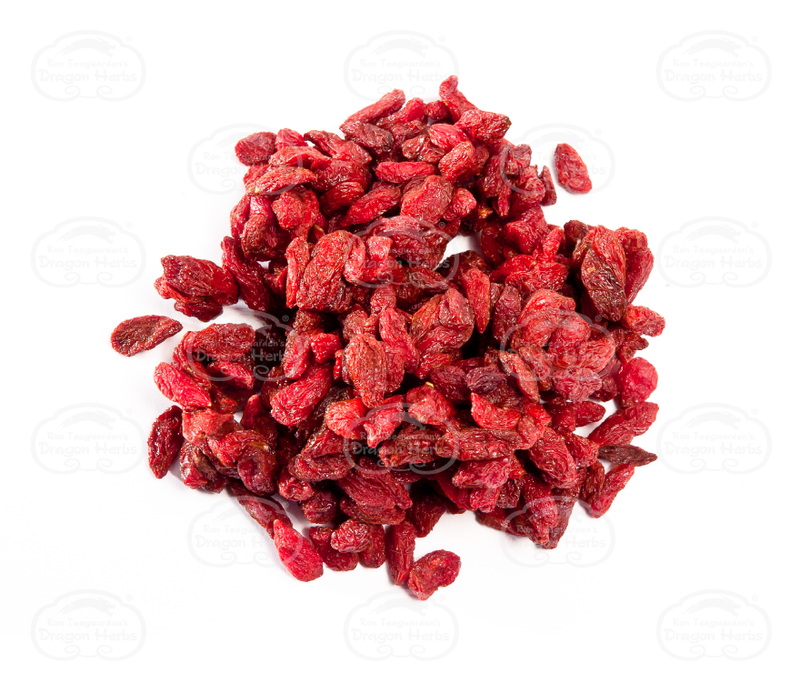 Ingredients: Gynostemma leaf, Luo Han Guo fruit, Schizandra fruit, Goji berries, Astragalus root, Eleuthero root. Adaptogenic, immune regulating, tonifying to the Lungs, Heart, Spleen/Pancreas, Liver and Kidney. Drink 1-3 teabags a day, making from 1-10 cups of tea. 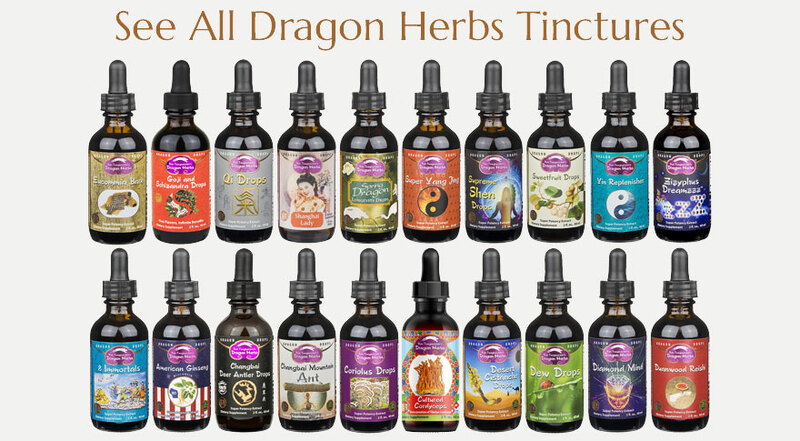 Dragon Herbs has developed a special technology called Super Infusion Process (SIP)™. 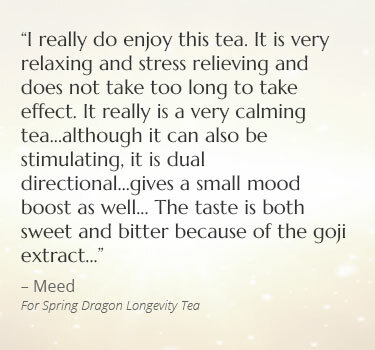 Spring Dragon Longevity Tea ™ is more than just a blend of 6 chopped herbs. Five premier tonic herbs have been optimally extracted together, resulting in a thick, concentrated syrup. The syrup is then infused into premium grade Gynostemma leaves. 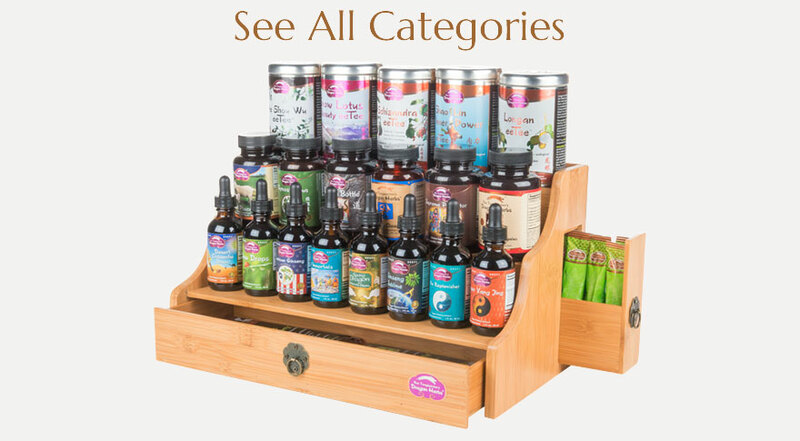 The saturated leaves are carefully dried, locking in the superior range of phytonutrients from all the tonic herbs. 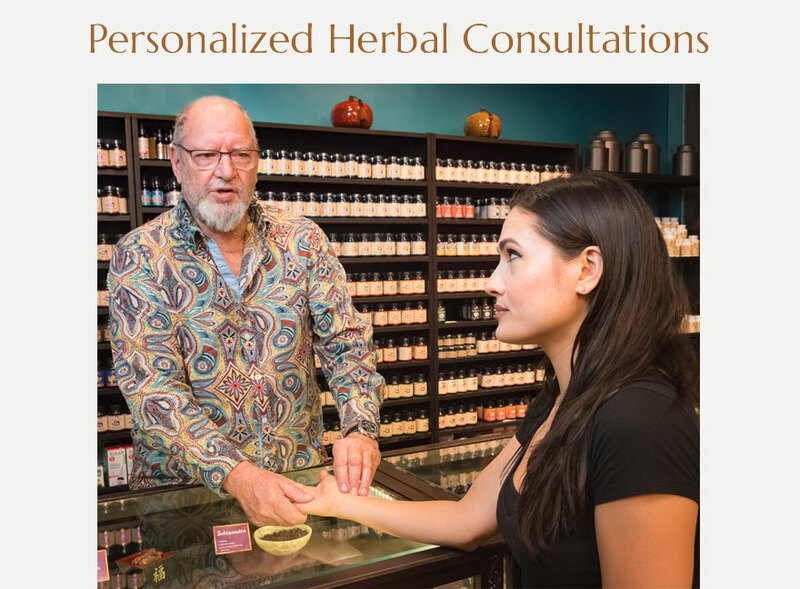 The result is a super-potent herbal formulation. In 1972, a group of Japanese researchers reported that Gynostemma tea was being consumed as a daily “longevity tea” by large numbers of people in South China. 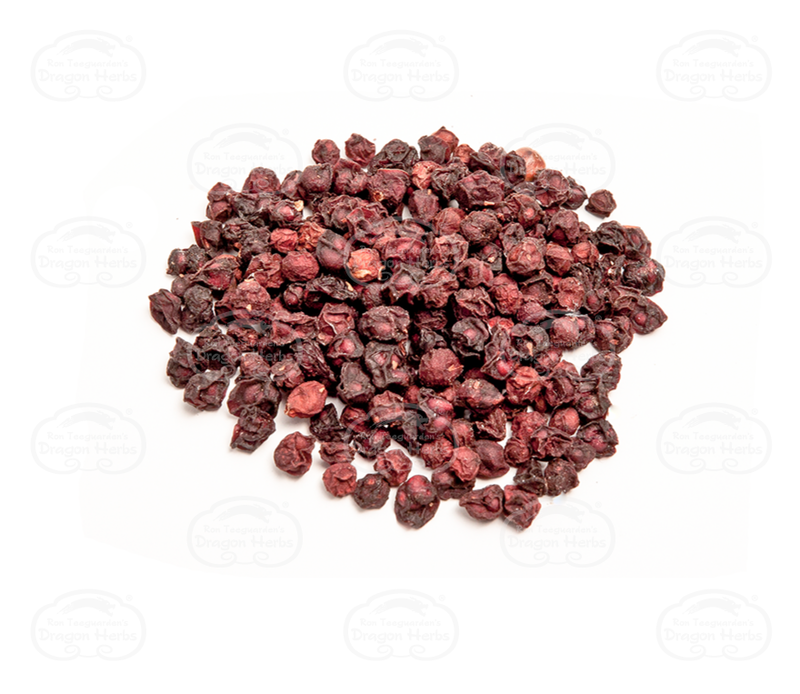 It was revered in the regions where it grew because of its many reputed health benefits. 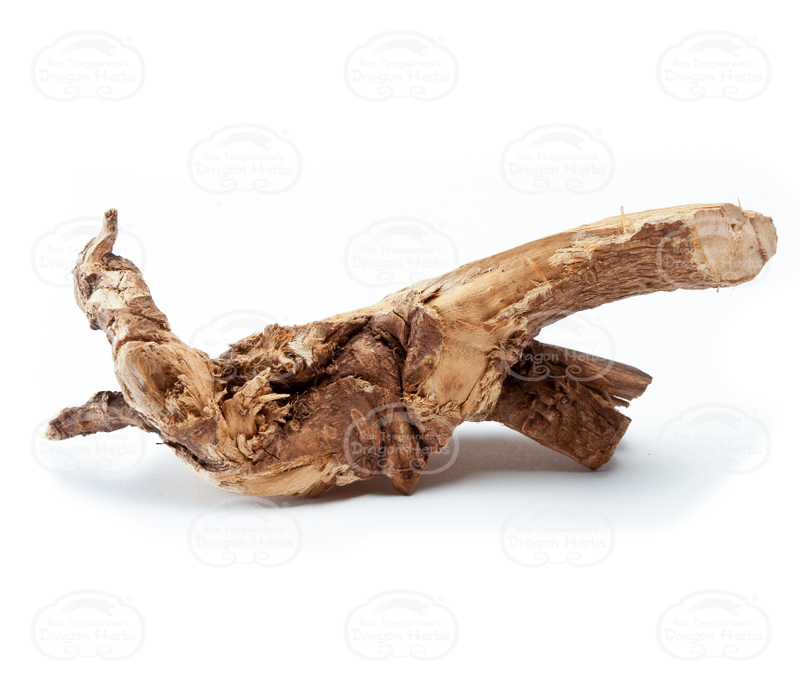 Subsequently, studies conducted first in Japan revealed that Gynostemma was extremely rich in saponins that were extremely close to those found in Ginseng and Siberian Ginseng. As it turned out, Gynostemma is even richer in these saponins than Ginseng. Gynostemma tea had generally been made from wild mountain Gynostemma pentaphyllum plants, but as Gynostemma’s reputation as a longevity herb grew, farmers learned to cultivate it. Within a decade, Gynostemma was being consumed by millions of Asians as a tonic tea. 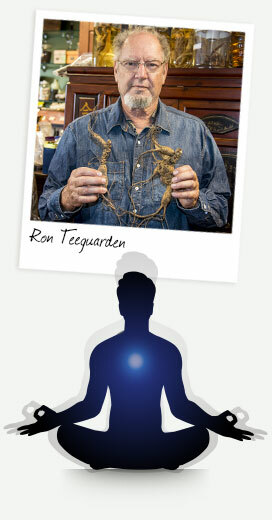 In 1992, Ron Teeguarden was traveling to China to oversee a production run of tonic herbal formulations. Because of a ticketing mistake, he was upgraded to first class on a long flight from San Francisco to Beijing. By coincidence (and ridiculous luck), he was seated on the flight next to Professor Xiao Peigen. Also, by “coincidence,” Ron had a photocopied article written by Professor Xiao in his travel bag. The article was entitled “Anti-Aging Chinese Herbs.” Xiao Peigen, as it turned out, was Director of the Institute of Medicinal Plant Development in Beijing, a major research institute belonging to the Chinese Academy of Medical Sciences. He was also head of the World Health Organization (WHO) Collaborating Center for Traditional Medicine, Commissioner of the Committee on Pharmacopeia for the People’s Republic of China and a Commissioner of New Drug Evaluation for the PRC. 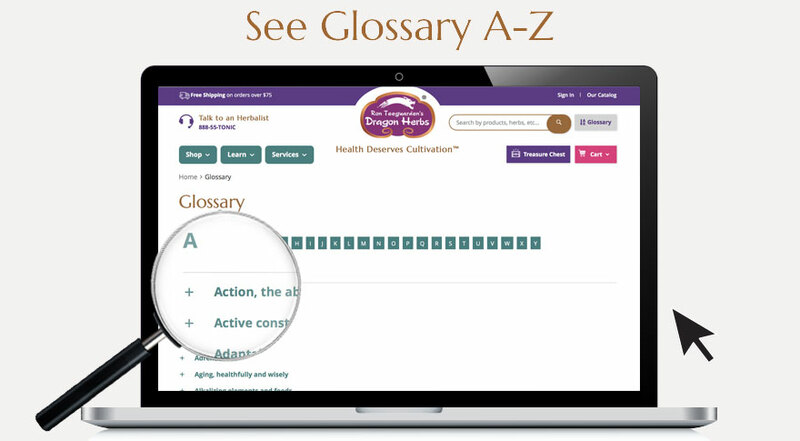 In other words, he was one of the most powerful and knowledgeable herbal experts in the world. Because Ron had his article on the plane, Professor Xiao took Ron under his wing. 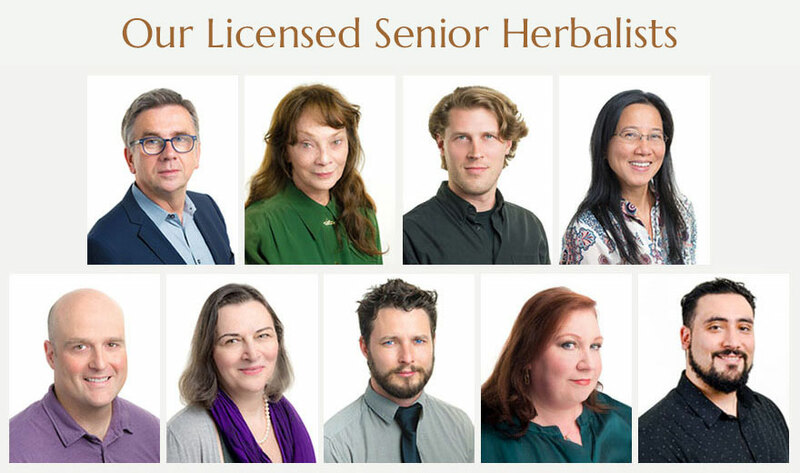 When Ron met with Professor Xiao at the institute a few weeks later, Ron asked Professor Xiao if he knew of any special tonic herbs with significant anti-aging health-promoting qualities — perhaps an herb that wasn’t well known yet in the world market. Professor Xiao responded instantly that Gynostemma was exactly what Ron was looking for. 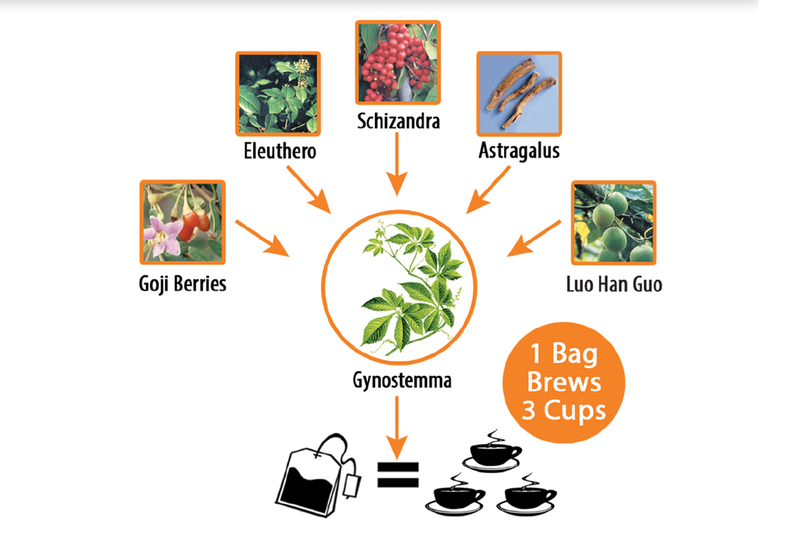 Gynostemma is traditionally consumed as a tea, just like green tea. It can be delicious as well. 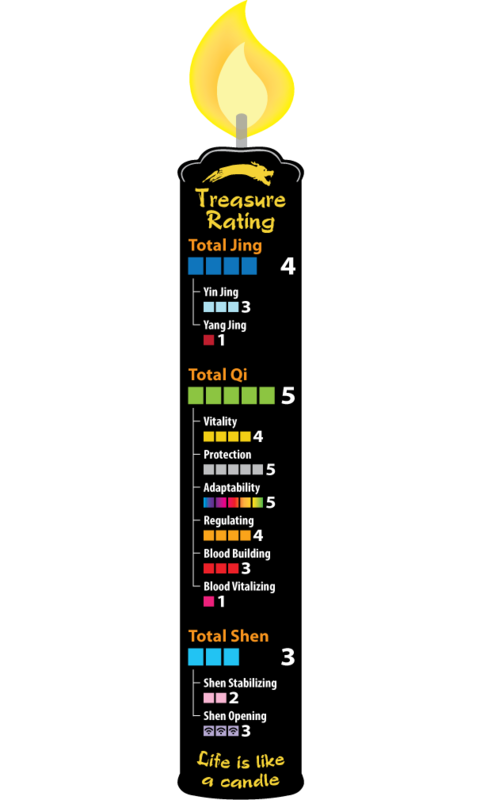 At the same time, Ron had come across a special, traditional Chinese method of brewing “longevity teas” by saturating extracted herbs into tea leaves. Ron decided to use this ancient technology to saturate Gynostemma leaves with a number of other tonic herbs that had traditional reputations as longevity herbs. Yanlin and Ron found a tea master who knew the secret of preparing the “longevity teas.” After experimenting for several months at Yanlin’s parents’ home in China, the final tea was determined and thus was born Spring Dragon Longevity Tea, featuring a supersaturation technique that maximized the potency of the tea. 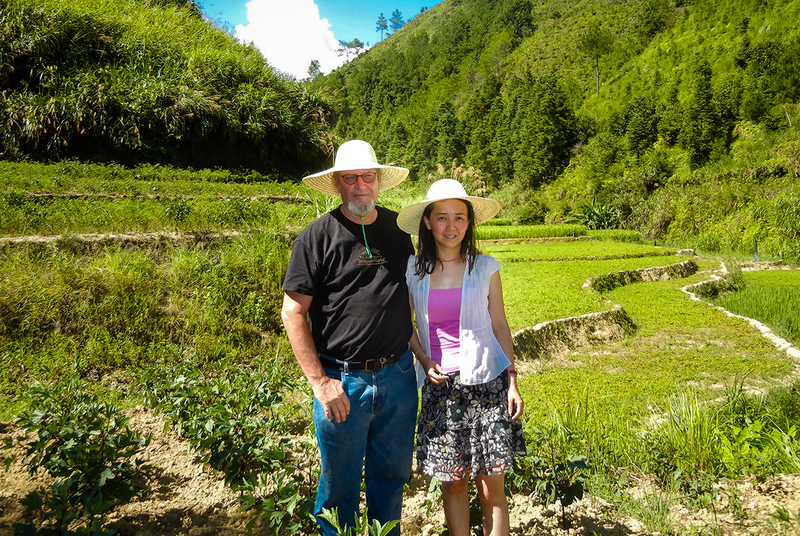 Soon thereafter, Ron and Yanlin met with a professor who was working as a manager in the Fujian province forestry service. His name, translated into English, is Professor Field. 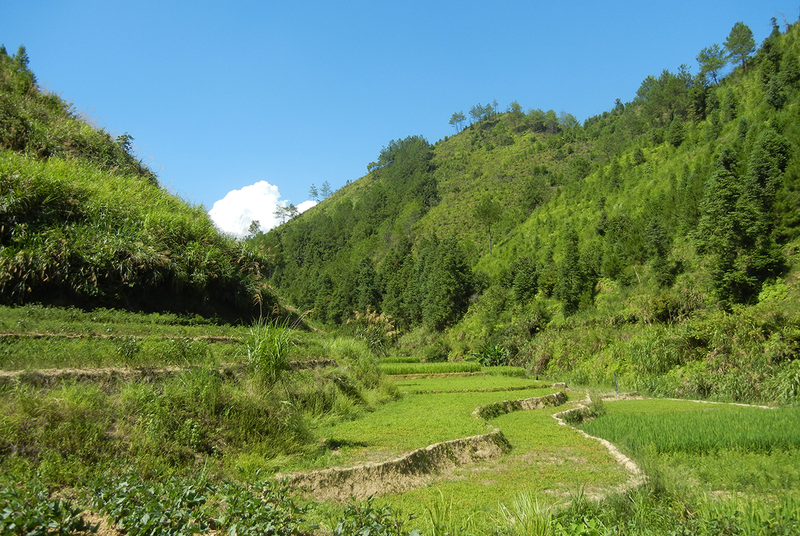 Professor Field suggested to Ron and Yanlin that they grow Gynostemma in a fresh plot of land in the mountains. Ron and Yanlin loved the idea. They supported this new project and Professor Field found virgin land near the top of a remote mountainous peak known as Great Immortal Peak. Great Immortal Peak is part of Wuyi Mountain. Gynostemma grows wild on the fertile slopes of Great Immortal Peak (along with leopards, monkeys, wild boar, numerous types of snakes (some quite venomous) and many other kinds of wild animals). Ron asked Professor Field to find a place where the Gynostemma fields could be fed by a natural stream, and amazingly Professor Field, who knew the territory backwards and forwards, found the perfect location. The land was cleared the next year and Gynostemma has now been grown there for twenty one years. No chemical has ever been used on the land. There is no road leading to the land, just narrow, winding walking paths. The result is the sweetest, strongest Gynostemma imaginable. Five giants of the tonic herbal world are extracted into a syrup. This syrup is then evenly sprayed onto and into the freshly semi-dried Gynostemma leaf, which is then allowed to dry. 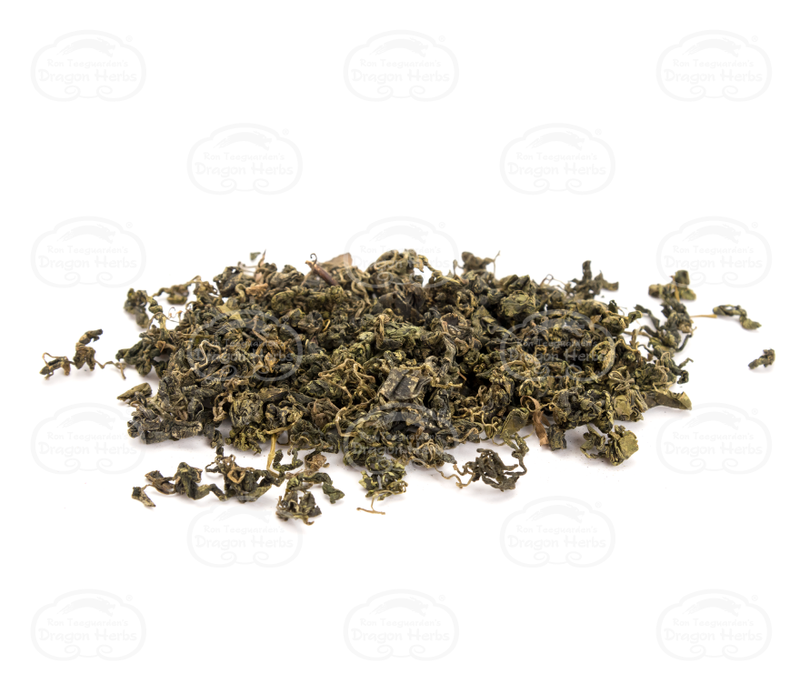 When dry, the leaves are shredded into “tea cut” and bagged in a safe natural teabag material. Schizandra berries , Goji Berries, Astragalus root, Siberian Ginseng root , and Luo Han Guo goes into the concentrated syrup. Dragon Herbs gynostemma is grown near the top of Great Immortal Peak, a remote pristine mountain in Southern China, without the use of any chemicals or modern equipment. It is grown totally on mountain spring water and natural precipitation. Most of the Gynostemma sold in the United States is grown at low altitude as an adjunctive farm product, usually around corn fields. The water in these farms is not nearly as pure as the fresh mountain spring water that feeds the Great Immortal Peak Gynostemma plot. 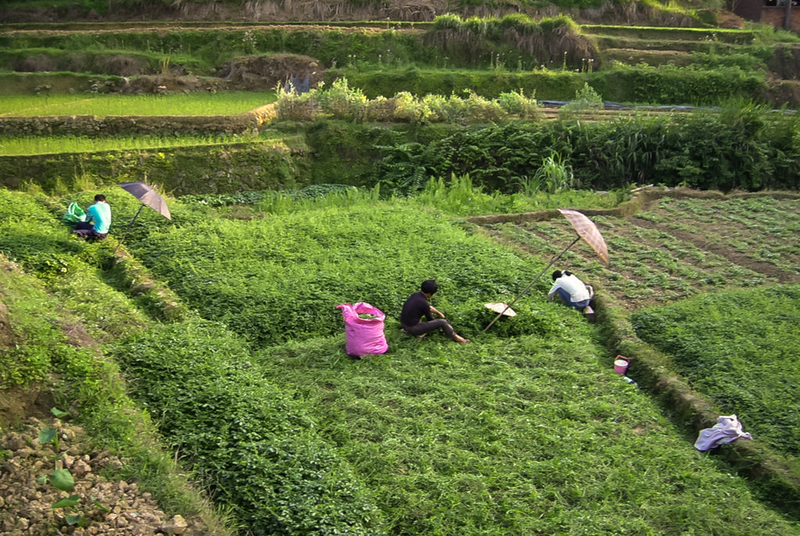 Also, the common low lying fields are fumigated and unnaturally fertilized. 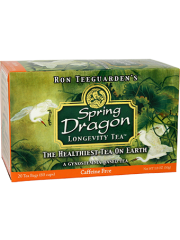 Dragon Herbs’ Gynostemma is grown in a completely clean, naturally fertile environment. 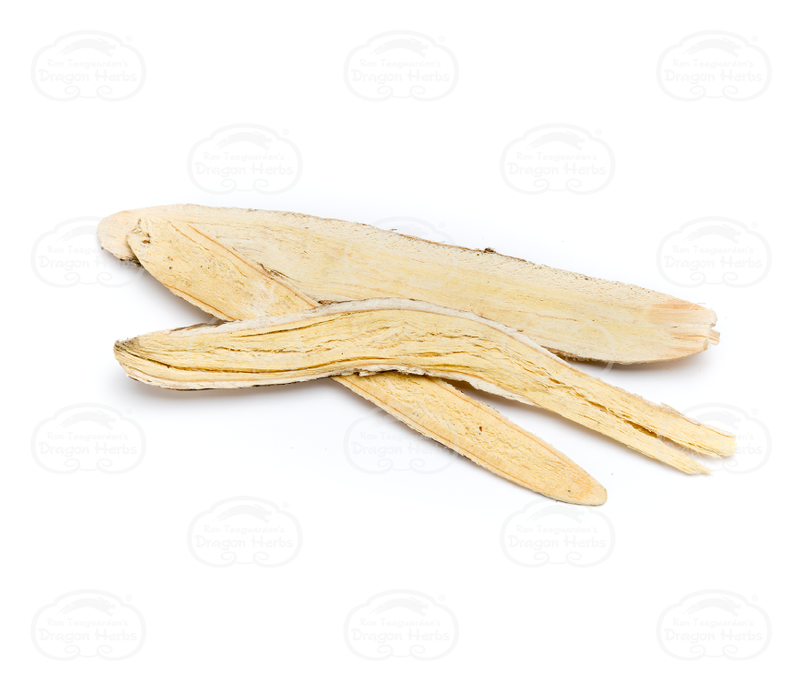 Most manufacturers leave the stems in the Gynostemma before extracting, resulting in a less potent extract. 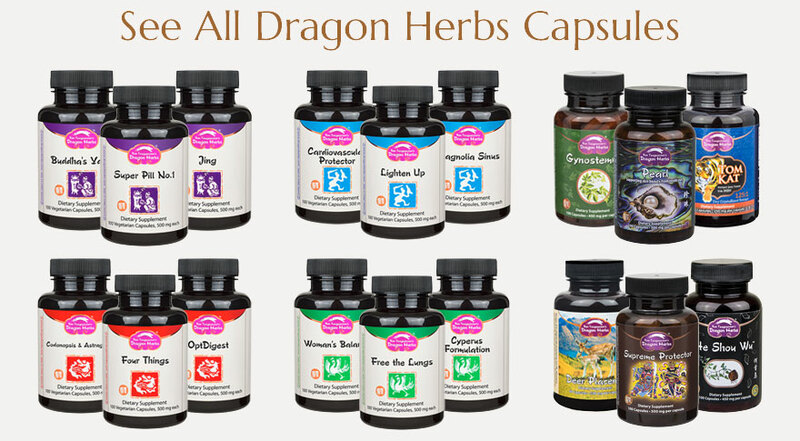 Dragon Herbs uses hand selected leaves only. Does your teabag contain epichlorohydrin as some other companies do? No. Our SDLT teabags are produced using an environmentally friendly unbleached paper. Can I drink this tea before bed as well as in the morning? You can drink it in the morning, afternoon or night without sleep disturbance. 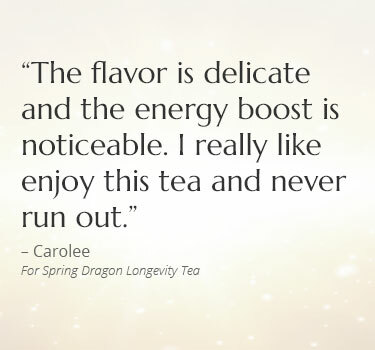 There is no caffeine in Spring Dragon Longevity Tea. Is this a powder or in bags?? It seems to say both. So is this saying we get 3 cups per bag? The tea is not a powder in a bag. It is Gynostemma herbal tea leaves, cut to "tea cut" size, which is infused with the concentrated extracts of five other major tonic herbs. You can get 2 cups per bag, but if you make each cup very strong, you may find that 2 cups are strong and the third is a bit weaker. Would love to know if this tea has been grown without pesticides even though it's not labeled as organic? 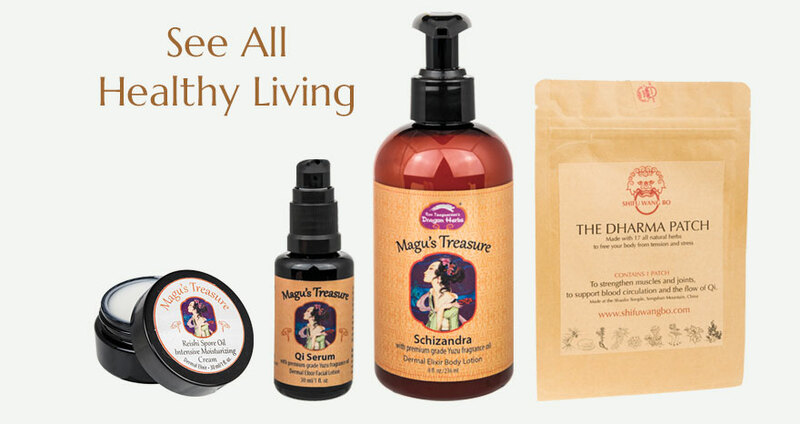 There are no pesticides used to grown the Gynostemma or any of the herbs included in this formulation.